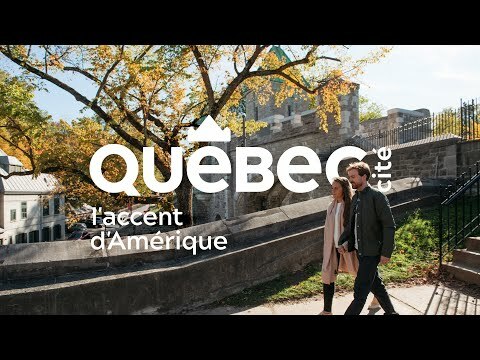 Cossette is behind the new tourism brand for the Québec City region, working in close collaboration with Québec City Tourism (QCT) in its process. Competition is fierce between destinations in the global tourism industry. To ensure Québec City maintains its power of attraction, the destination needed a distinctive and unifying brand, reflecting its heritage and what it is today. “The Québec City region offers a full spectrum of touristic experiences. Creating its new tourism brand was both a thrilling project and a source of pride for our people, especially since Cossette was founded in Québec City in 1972 and still has its head office here,” said Louis Duchesne, Executive Vice-President and General Manager of Cossette. Banking on the “Québec, l’accent d’Amérique” positioning, Cossette designed a visually arresting identity. Taking the shape of turrets, mountains and a crown, the acute accent that tops the logo recalls the Château Frontenac, and the architecture, topography and heritage of Québec City and its surrounding area. It’s also a symbol of the French language and a nod to our lilting accent. The short, evocative word “cité” punctuates the logo, neatly differentiating the city from the province. The brand was unveiled to partners in the tourism industry and will make its debut in QCT communication initiatives over the next few months.